A couple days ago, I was drooling over Ebony Princess H's beautiful hair. Then I noticed a few months after her BC, she was rocking mini twists on her hair and they looked haute, haute, HAUTE. I got to thinking, I have that much hair, let's give this try. I didn't think twists could look nice on me now b/c my hair is so short. It never crossed my mind to just make them really small till I was perusing through her albums. I like these so much, I might finish out my Grow Out Challenge with these instead. So because I will now have to wait next month to buy those 2, I had to come up with something now. Something that all the ingredients were in my home. Not too shabby. My next batch will be even better b/c it will have the honeyquat and SAA in it, but for now, this mist works just fine. I'm thinking about adding some lavender essential oil to it to give it a scent though. I think I might just do that. I think your twists look absolutely gorgeous! I can't wait until I have enough growth to start doing things like that! That is a pretty awesome recipe. Did it work really well on your hair? I'm interested in seeing if moisturizing mists could be the answer to my wanting slightly more moisturized ends. Oh, I am a mist making fool these days now that I discovered honeyquat and silk protein. I feel like a natural hair superhero! Mrs Christina: Thank you! You will be there in no time! FabulouslyBroke: It does work! 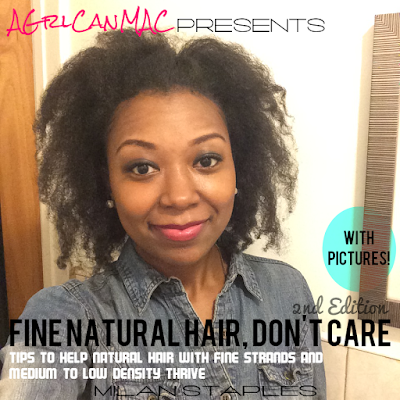 No dry hair over here! If you don't like honey (cuz if you use too much it can feel sticky), you can use glycern instead. 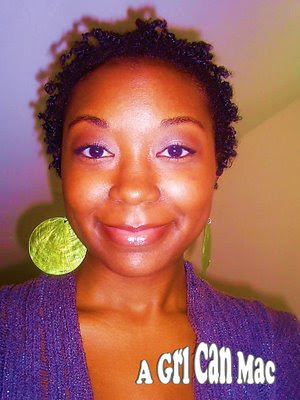 MakeUp Theory: I wanna be a natural hair superhero! LOL. I hear so many good things about those 2 ingredients when they get put in a mist so I was like I wanna be down too! I know your hair is probably soft as all get out. Your twists are beautiful :o) - You could aslo achieve a similar look with mini box braids - they may take longer to do - but they will last longer. Thanks Laquita! Girl, I'm too lazy to do the mini box braids. LMAO. I may try them when my hair is longer though. Thank you. I sure feel very chic gurlie w/ them!